The Fire Service has an obligation to educate the communities that it serves in Fire Safety and Prevention. To better prepare our departmental personnel to meet these obligations of conveying Fire and Life Safety messages to the public in hopes of reducing fire loss and death, GPSTC’s Georgia Fire Academy offers the Georgia Public Fire and Life Safety Educator Level I with Day Care Provider. Students will explore the myths and realities of fire, human behavior during fire emergencies and strategies to effectively reach a variety of audiences. Methods of delivering fire and life safety education, selecting educational materials, working with the media and evaluating program success will also be covered. This course meets the national certification criteria for Fire and Life Safety Education, Level I. Additionally, attendance of this course fulfills the need for qualification as a Day Care Provider Course Instructor under the Standards set forth by the Georgia State Fire Marshal’s Office. 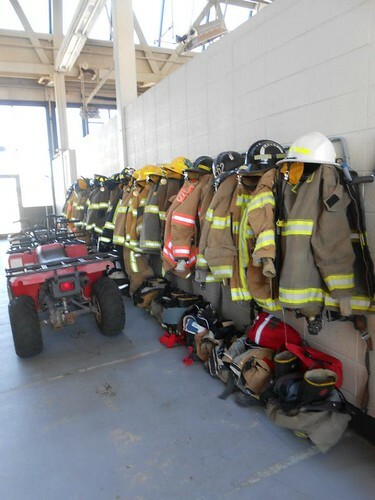 Upon successful completion of this course, students will be eligible to take the Georgia Firefighters Standards and Training Council’s test for State Certification as a Fire and Life Safety Educator and ProBoard Certification as defined by NFPA 1035, Standard for Professional Qualifications for Public Fire and Life Safety Educator Level I. Candidates seeking to enroll in the 40-hour course should be certified law enforcement, fire or EMS officers or any other category of emergency services personnel. Students who have completed all courses or their equivalent become eligible to test for Fire and Life Safety Educator Certifications through Georgia Fire Standards & Training Council (GFSTC). Pre-requisites are defined by the Council and testing for Certification is separate from the training courses. For more information on testing, please contact the Georgia Firefighter Standards & Training Council at (478) 993-4521.